Graeme McMillan reports: He's the only person to have appeared in all of the Marvel movies to date, so it was only a matter of time before Stan Lee received his own amazingly lifelike action figure. But for all the completists out there who want their own scale version of the co-creator of the Marvel Universe, be warned: There will be only 1,000 available. 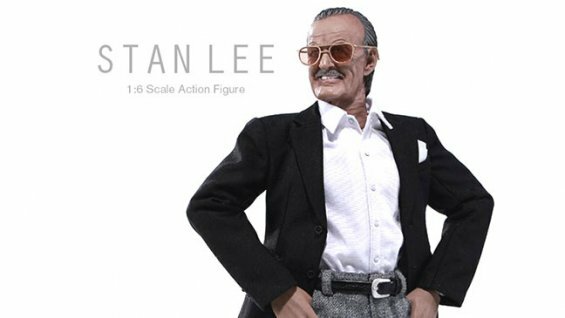 The Lee figure is being advertised as the "First-Ever 1:6 Figure" of the writer and celebrity, who worked with artists like Jack Kirby and Steve Ditko to create characters including Spider-Man, Iron Man, the Fantastic Four and the X-Men in the early 1960s.